What’s songwriting like for you? Is it something you’re in tune with all the time? I think some of my best songs that I’ve ever written are the ones that come to me at five o’clock in the morning and I write them down in five minutes. Those are some of the best ones I’ve ever written. The ones I sit down and really work on for a long time, sometimes those are just really frustrating and they don’t do for me what I want them to. Occasionally I get those ones where I work on them for a long time and they do end up being pretty good; stuff like “Slow and Easy” on this new record, I struggled with that song a lot and I really didn’t like to play it on stage or anything. I had to figure out a new way to play it on stage because I can’t really pull it off the same way as the record. Yeah that’s part of what I call the human condition. I think that’s what brings a really good human element to my music is that I cover the good, the bad, and the ugly … It’s just that struggle in my heart every day of my life with rejoicing and being depressed, or trying to be a good person and at the same time getting sloshed. It’s the difference between Saturday night and Sunday morning. That’s exactly right, and I think this record is a lot like Saturday night and Sunday morning and anywhere in between. So basically you see all of those different elements and influences as tapping into the same vein. Are there subjects or ideas that are too personal or too compromising to share in a song? I don’t feel like I have too many walls as far as subject matter goes. I feel like I could pretty much write about whatever I need to and get as personal as I want. I don’t have too much to hide. One of the things I have a little trouble writing—that I don’t really go into too much—is the straight-up love songs. When I play them I feel kind of cheesier; it’s just a little too white. [Laughs] It’s leaning too much into that Kingston Trio kind of things. I feel like there’s more for both me and the listeners in the struggles and the trying-to-get-through-things subject matter … With the love songs and all that, there are so many great love songs written already I tend—if I’m gonna do those—to play the ones that somebody else already wrote. The “one-man band” thing, is there some fundamental reason you do that? Obviously it allows you the freedom to do whatever you want whenever you want to do it, but is there something that appeals to you about that beyond not having to pay a band? Yeah, beyond not having to pay a band it’s definitely… I’ve got a kind of control-freak nature when it comes to music. I’m kind of a visionary as far as that goes. I’ve got a way I want it to sound. I don’t really want to stray from the way that I picture it in my head, but also as much as I’m on the road these days for the last ten or fifteen years I don’t have the time that it takes to really put together a great band and do all the practicing that it’s gonna take and rehearsing to get up to show-quality performances. I would like to put a band together and I’ve got some ideas about that, but I also feel like it’s one of those things that’s gonna have to fall into place naturally and not something that needs to be forced—kind of like those songs I was telling you about, how the ones that come to me really fast are the best ones; the ones that you have to force seem a little contrived. I’m really not a fan of contrived things. When you’re writing a song do you feel any obligation for it to reflect what your audience may expect of you? No. Some people want to keep their finger on the pulse of trends and culture, but I keep my pinkie on it. I try to keep a little bit of a mind of what people want out of me and what they want to hear, because you have to in order to keep your fans a little bit, but at the same time I’m really true to myself with all of this. That’s always gonna be the main drive behind it is what I feel. Honestly I don’t put that much thought into all of this. I don’t think that it’s shallow or thoughtless, but I feel like my subconscious is what guides my efforts more than really trying to analyze it so much. The most analyzing I do to any of this is when I’m doing these interviews. 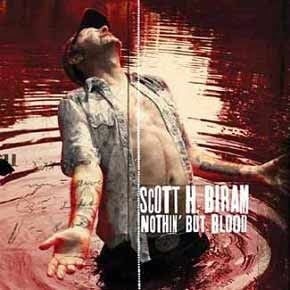 Nothin’ But Blood is available now on Bloodshot Records. 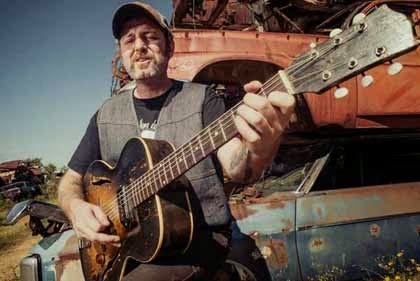 For more information on Scott H. Biram, please visit his official website.